Premeditated is a really fast read. I read it in just over a day because I couldn’t put it down. I needed to know what would happen with Claire, what DID happen with Claire, and how Dinah was going to go about her revenge. I enjoyed McQuein touching upon darker subjects like revenge, harassment, bullying… all those kinds of things. I think it’s great that she managed to incorporate all these different things into this thrilling novel, without detracting from the plot by making it sound preachy, or making it drag. She balances it out very nicely. The plot twist itself – yes, there is a plot twist, every thriller has to have one – was easy to figure out. I wasn’t even a third of the way through the book when I started to suspect something was up, and I had figured out the outcome very early on. Despite the twist being obvious, I loved it. I enjoyed putting together all the small clues that McQuein threw in throughout the book, and it made for a really fun read. Despite the major twist being predictable, something occurred that I totally wasn’t expecting. At all. I can’t say what it is, obviously, but it shocked me, and I had to put the book down for a bit because I wasn’t prepared for it. I really liked Dinah as well, and how much she cared about Claire. 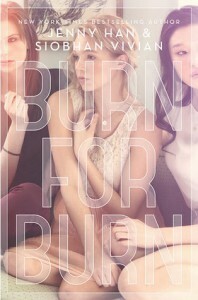 I love a good platonic relationship between girls, or between family members, and their story was fantastic. Dinah loved Claire so much that she was willing to do anything to get back at the guy who had hurt her. On top of Dinah and Claire’s relationship, the bonds between the other family members are really well done. I loved reading about Dinah and her aunt and uncle, and the dynamic between them all was fantastic. I also loved reading about Dinah and her mum, even though that wasn’t the most positive or happy relationship between the two of them. 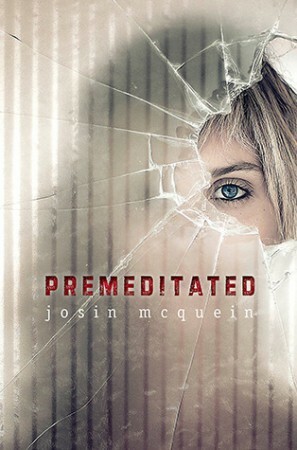 Premeditated is, on the surface, as dark story about revenge, but as you read on you begin to realise that it’s about something so much deeper. 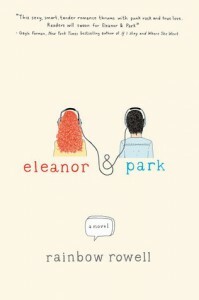 Love, family, and friendship all play a vital role in the story and in Dinah’s life, and I thought it was a great read. I’ve added Josin L. McQuein to my autobuy list, because I think she has some serious talent and I love the stories that she weaves. I like a good revenge story, especially when it’s balanced with some other elements like bullying. You know you are reading a great story when the predictable plot isn’t annoying – and surprising side-twists can be so much fun! Ooh, I haven’t heard of this one before, but it sounds like something I would enjoy. Due to years of reading mysteries/watching crime shows, I tend to see “twists” coming from a mile away, so I really don’t hold it against books when that happens. I do put it in the plus column when one manages to surprise me, though! Anyway, definitely adding this one to my list!